Ето още един продукт, който трайно намери място в кухнята ми – песто от тиквички (песто але дзукини, pesto alle zucchine). Бях опитала нещо подобно по време на едно от пътуванията ми до Италия, но макар вкусът на тиквички да преобладава и в двете, при това много силно усещам босилека. И това е нещото, което силно ме привлича. Напомня ми за босилековото песто, което ту си купувам, ту си правя у дома. Цветът на пестото от тиквички е резедав, а ароматът му е силен, запомнящ се. Предполагам, че песто от тиквички се приготвя лесно, стига да се улучи съотношението на съставките. В състава му има тиквички, зехтин, пармезан, лимонов сок, магданоз, картофено пюре, тръстикова захар, слънчогледово олио. 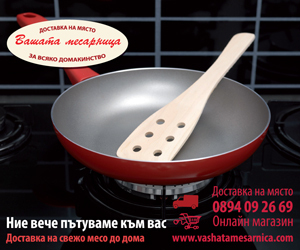 Според етикета, продуктите са био. Използвам го за предястие тип сандвич, който правя с прошуто и моцарела. Също така е добър партньор на моцарелата и доматите в салатата капрезе (просто заменям босилековото песто с песто от дзукини). Намерих пестото да се продава в магазин I sensi, който се намира близо до хотел Радисън в София. Точният магазин на магазина за италиански специалитети и вино е София, ул. Аксаков 17А. 168 коментара на "Био песто от тиквички"
Some genuinely nice and useful information on this website, likewise I think the style holds good features. I really enjoy looking at on this website, it holds good articles. „One should die proudly when it is no longer possible to live proudly.“ by Friedrich Wilhelm Nietzsche. I just want to mention I am newbie to blogs and definitely enjoyed this blog. Most likely I’m want to bookmark your blog post . You definitely come with remarkable writings. Thanks a bunch for sharing your website page. I just want to say I’m new to weblog and certainly enjoyed your web page. Most likely I’m planning to bookmark your blog . You surely have awesome posts. Cheers for sharing your website page. I just want to mention I am beginner to blogging and really loved your website. Most likely I’m planning to bookmark your site . You certainly have wonderful posts. Thank you for sharing with us your web site. I just want to say I am just very new to blogs and absolutely savored your web blog. Almost certainly I’m want to bookmark your blog post . You certainly come with impressive well written articles. Kudos for sharing your web-site. I just want to mention I am just newbie to blogging and certainly enjoyed this page. Likely I’m planning to bookmark your site . You amazingly come with really good well written articles. With thanks for sharing with us your blog. I simply want to tell you that I’m new to weblog and seriously loved your website. Likely I’m likely to bookmark your website . You definitely come with remarkable articles. Cheers for revealing your web-site. I just want to say I am just newbie to weblog and definitely liked your blog site. Probably I’m want to bookmark your blog post . You surely have beneficial well written articles. Appreciate it for sharing your webpage. Have you ever thought about writing an e-book or guest authoring on other blogs? I have a blog based upon on the same subjects you discuss and would really like to have you share some stories/information. I know my visitors would appreciate your work. If you’re even remotely interested, feel free to send me an e-mail. That is very interesting, You are a very skilled blogger. I have joined your feed and stay up for seeking extra of your wonderful post. Also, I’ve shared your website in my social networks! Thanks for the posting. My spouse and i have always seen that many people are eager to lose weight since they wish to show up slim along with attractive. Nonetheless, they do not often realize that there are other benefits for losing weight also. Doctors claim that obese people experience a variety of diseases that can be perfectely attributed to their particular excess weight. Fortunately that people who definitely are overweight and also suffering from various diseases are able to reduce the severity of their illnesses by simply losing weight. It’s possible to see a constant but identifiable improvement with health while even a minor amount of weight-loss is obtained. In the awesome design of things you receive an A+ with regard to effort and hard work. Where exactly you actually lost me ended up being on all the specifics. You know, people say, the devil is in the details… And it could not be much more true at this point. Having said that, permit me say to you exactly what did give good results. The article (parts of it) is pretty convincing and that is possibly the reason why I am making the effort to comment. I do not really make it a regular habit of doing that. Next, whilst I can certainly notice a leaps in reason you come up with, I am not really confident of how you seem to connect your points which produce the conclusion. For now I will yield to your point however hope in the near future you link the dots better. vm5VYW Wow, great blog.Much thanks again. Keep writing. You really make it appear really easy along with your presentation but I find this matter to be really one thing which I believe I might never understand. It seems too complicated and extremely wide for me. I am having a look forward for your subsequent put up, I will try to get the cling of it! Thank you, I’ve recently been looking for info approximately this subject for ages and yours is the best I have found out so far. But, what concerning the conclusion? Are you positive about the source? I simply want to mention I am newbie to weblog and seriously loved your page. More than likely I’m want to bookmark your blog . You certainly come with really good article content. Thanks a bunch for sharing with us your webpage. You completed several good points there. I did a search on the issue and found a good number of folks will consent with your blog.